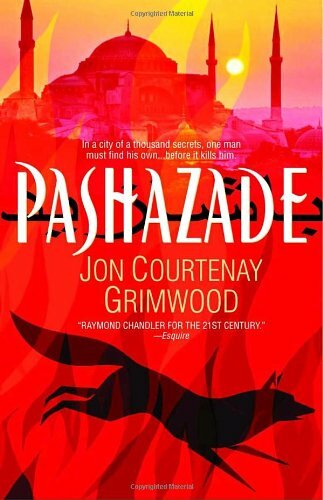 Part mystery, part speculative fiction, and wholly unforgettable, Jon Courtenay Grimwood’s celebrated Arabesk series portrays the dark, hard-boiled story of a man out to prove his innocence in an alternate world where the facts aren’t always the same as the truth . . . and murder isn’t the worst that can happen.It’s a twenty-first century hauntingly familiar—and yet startlingly different from our own. Here the United States brokered a deal that ended World War I, and the Ottoman Empire never collapsed. And lording it over all sits the complex, seductive, and bloodthirsty North African metropolis of El Iskandryia. Almost nothing is what it seems to be in El Isk, and Ashraf Bey is no exception. Neither the rich Ottoman aristocrat everyone thinks he is, nor the minor street criminal once shipped off to prison when he fell foul of his Chinese Triad employers–the fact is that Raf has as little idea who he is as anyone else. With few clues and no money, all Raf has is a surname hinting at noble heritage and an arranged marriage to a woman who hates him. But nothing Ashraf al Mansur learns about himself is as unexpected—or as terrifying—as the brutal murder he’s accused of committing. Now, as a hunted man with the welfare of a precocious young girl in his irresponsible hands, Raf must race after a killer through an unforgiving city as foreign to him as the truth he'll uncover about himself.